Fortress Of Freedom Board :: View topic - DEEJAYSCOOTZ To Perform at FOFSTOCK! DEEJAYSCOOTZ To Perform at FOFSTOCK! 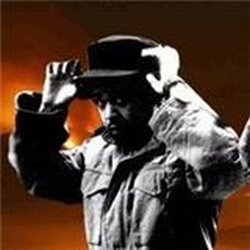 Posted: Fri Jul 01, 2011 12:13 am Post subject: DEEJAYSCOOTZ To Perform at FOFSTOCK! "deejayscootz is everywhere always, nowhere never. His beats have reverberated off the four corners of the earth. His knowledge and fervor for early reggae has led to his success in tracking down rare early acetates from the Mountains of Jamaica to the Penthouses of Manhattan. deejayscootz is a master of historical music preservation. On the streets he is simply known as "Deputy DJ Sherlock Scootz"
From all of us involved at FOFSTOCK we wish all the best for "deejayscootz" at FOFSTOCK!